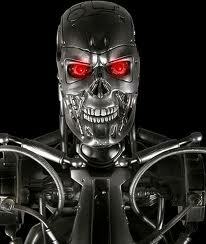 SKYNET is coming…for your job! We are all familiar with workplace automation. We have seen the huge robotic arms moving and welding car parts on production lines like those at Fairfax and Claycomo. But the robots aren’t stopping at our manufacturing plants. They may soon be taking our places (or at least some of our places) in a wide variety of occupations. A couple of researchers from Oxford determined the likelihood of 702 unique occupations being essentially eliminated by computerization over the next 10 to 20 years. By their count, about 47 percent of U.S. jobs are at risk. So, what jobs are most likely to be automated out of existence? Here are the top 10. Each of these jobs stands a 99-percent likelihood of being automated in the next two decades. The complete list can be seen in the report, but basically jobs that are repetitive and labor intensive are prime candidates for automation. Jobs that require human creativity (like teaching) or split-second analysis and decision making (like surgery) are pretty safe from automation. Now, obviously our need for these skills will not entirely go away, but technology may make it so we will need fewer workers to do the job. Manufacturing is a good example of this. As a nation, manufacturing output is near all-time highs, but manufacturing employment is declining. We are doing more with less labor, due in part to technology and automation. For real job security, pick a career that requires you to be creative and analytical. See you next time, hopefully — there is a 43 percent chance that my economist job will soon be taken over by a robot.